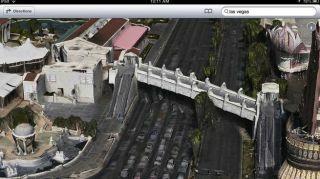 Apple's misfiring Maps app has prompted one hacker to conjure a way to restore the banished Google Maps app to iOS 6. Ryan Petrich, who specialises in jailbreaking iPhones, has figured out a way to bypass Maps and install the tried-and-tested Google Maps app from iOS 5.1 on an iOS 6-updated iPhone 3GS. The hack, which requires a jailbroken iPhone, is "still crashy and cannot be distributed to the public yet, but it mostly works" according to Petrich, who posted the video below on Sunday. Apple has pleaded for patience regarding its Maps app and said it will improve as more smartphone and tablet owners make use of the service. Multiple reports, including TechRadar's iOS 6 review, has shown that Maps currently suffers from inaccurate location data, a distinct lack of detail compared to Google Maps, and sometimes displays poorly rendered maps. Reports on Monday claimed that Apple is even attempting to poach Google Maps staff in order to accelerate the necessary improvements, although that remains unconfirmed by the company. Whether looking for a publicly available jailbreak or practicing the patience needed to weather Apple's current Maps debacle, iPhone 5 owners may want to hang onto their paper maps for a little while longer.